Gas Furnaces are efficient and effective. We would like to provide you with some information to help in the decision making process of your heating system. Armstrong Air Furnaces are reliable, efficient heat when you need it. 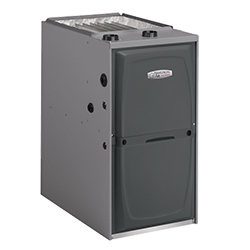 Gas furnaces are the choice for the majority of modern homes with central heating and air conditioning. This means 97% of your fuel is converted into usable heat. Compared to an older furnace, this can potentially save you hundreds of dollars per year in energy costs. The combination of a gas furnace and an electric heat pump pairs two energy sources for the perfect balance of energy efficiency and comfort. ENERGY STAR Most Efficient is a new program to identify the most efficient products among those that qualify for the ENERGY STAR. Each product that receives this recognition demonstrates efficiency performance that is truly exceptional, inspirational, and leading edge. When you pair this model with the Comfort Sync thermostat, the system will continuously monitor internal components for optimum performance. Comfort Sync puts you in total control of your home environment with remote temperature adjustment from anywhere in the world, even your couch, via smartphone app. When Comfort Sync detects that repairs and regular maintenance are needed, it alerts you or your dealer instantly, so your perfect environment never ends. Puts your system into an enhanced energy-saving mode when you leave. Allows you to check and adjust your home’s temperature from anywhere using your laptop, smartphone, tablet or other web-enabled device. Using its connection to your wireless network, Comfort Sync can display a five-day forecast and live weather alerts. Provides superior comfort over traditional single- stage and two-stage products, further reducing temperature swings in your home. Pair this model with a Pro Series™ variable-capacity or two-stage air conditioner or heat pump and a Comfort Sync thermostat, for optimum performance. With the Pro Series, you’re in control of every aspect of your home’s climate, as well as your energy costs. Explore the Armstrong Air Pro Series™. By changing the speed of its airflow during start-up, your furnace can adjust humidity levels and create more even temperatures throughout your home, while enhancing efficiency and reducing operating noise. Prevents loss of warm air while reducing noise from the motor. Uses a smaller Btu input per burner for quieter start-up and operation while providing more even heat distribution. Made from stainless steel for maximum strength and crimped, rather than welded, Armstrong Air heat exchangers are highly resistant to thermal fatigue and other stresses caused by repeated heating and cooling. During the testing process, they are subjected to temperatures that far exceed normal operating ranges, to ensure they will stand up to years of use. 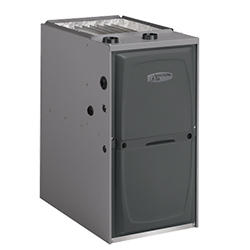 Every Armstrong Air furnace is engineered and built with EHX Technology, a patented design that eliminates the hot spots that can shorten furnace life. EHX Technology makes heat exchangers more durable, and with its advanced airflow system, more air contacts the heat exchanger surface area for greater heat exchange, enhancing efficiency and comfort. Your Armstrong Air furnace’s electronic control system prolongs system life by continuously monitoring internal components for optimum performance and fault prevention. Armstrong Air’s commitment to a better product is backed by a Limited Lifetime Warranty on the stainless steel heat exchanger and a 10-Year Limited Warranty on parts. This means 96% of your fuel is converted into usable heat. Compared to an older furnace, this can potentially save you hundreds of dollars per year in energy costs. The ENERGY STAR program is a joint program of the U.S. Environmental Protection Agency and the U.S. Department of Energy helping us all save money and protect the environment through energy-efficient products and practices. Like a variable speed furnace, constant torque furnaces provide lower operating costs and increases to overall system efficiency. Compared to standard PSC motors, constant torque delivers more consistent airflow and quieter operation. Rather than being “all on” or “all off,” your furnace can adjust its heat output based on conditions inside and outside your home. So you use less energy to maintain comfort. This means 95% of your fuel is converted into usable heat. Compared to an older furnace, this can potentially save you hundreds of dollars per year in energy costs. Heating and Air Conditioning industry experts since 1997 with over 30+ years of combined experience!